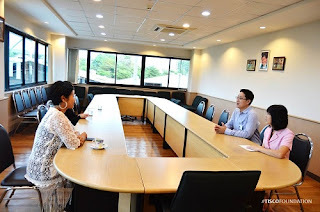 TISCO Foundation: มอบทุนรักษาพยาบาลให้กับนางรัชนี มัสสุรีย์ - TISCO Foundation donated a medical care grant to Ratchanee Matsuree. มอบทุนรักษาพยาบาลให้กับนางรัชนี มัสสุรีย์ - TISCO Foundation donated a medical care grant to Ratchanee Matsuree. TISCO Foundation donated a medical care grant to Ratchanee Matsuree of THB 6,400. The grant is to help Ratchanee receive a hemodialysis service at The Major General Jamlong Srimuang Plyclinic for one month. Rachanee has a severe kidney disease and is required to go through hemodialysis at least twice a week. The polyclinic is a social enterprise founded and operated by Major General Jamlong Srimuang Foundation. 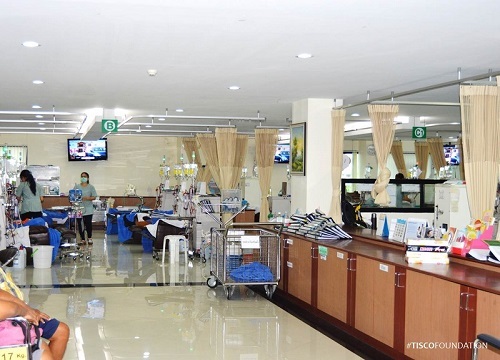 It provides hemodialysis services to low-income kidney disease patients, at THB 800 per service while a service at any government hospital starts at about THB 2,000.